Lately I’ve been getting a lot of questions on processing vocals. Folks are asking for a step-by-step guide for getting a good vocal sound — from actually recording the vocal all the way to the finished mix. This is a great topic. After all, for most music styles the vocal is the focal point of the entire song. Who cares if the drums, bass, and guitars sound amazing if the vocals are lame, right? So…I think it’s time for a little series of articles on vocals! Plugins are amazing, no doubt, but they’re not miracle workers. It’s a “garbage in, garbage out” situation. If your recordings don’t sound good, you’ll end up spending HOURS trying to fix them, and you’ll still end up with garbage (albeit very polished garbage) at the end. I promise I’ll share as many tips and tricks as I can for how to take a recorded vocal and make it “behave” in a mix, but it will be all for naught if you don’t focus on getting a good vocal sound first. That reminds me, I went to a demonstration at my alma mater (Middle Tennessee State University) last Thursday. They had just installed an API Vision surround mixing console in Studio A and had the folks from API there showing it off. Acclaimed mix engineer Ronald Prent was actually there to demonstrate the mix capabilities of the board (which are REALLY cool). The song he was mixing had a nice little funky groove to it. It reminded me a little bit of Tower of Power. What struck me about the song was how well the tracks were recorded. He would solo the drums or the horn section, and they all sounded SO GOOD. 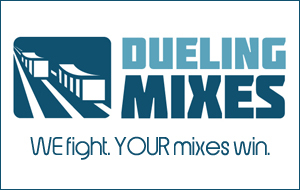 He commented that his job as a mix engineer is much easier when he receives tracks that have been recorded well. The mix engineer can focus more on the music rather than figuring out how to put band-aids on all of the poorly recorded audio. This concept obviously applies to anything you record, but since the lead vocal is SO important to the overall success of your song, it’s critical that you make sure to capture a good recording before moving on to editing, mixing, etc. Am I implying that you should hold off on that vocal session until you’ve mastered recording or have bought all the right gear? Not at all. For more on this, read my article on Gear Acquisition Syndrome. I don’t have a magic formula to give you that will guarantee a good vocal sound, but here are some tips that have worked for me. Okay, this may be a bit on the obvious side, but you can’t expect to get a phenomenal vocal sound if you’re using a $20 Radio Shack mic. I’m not saying you need to sell one of your kidneys and buy a $10,000 microphone, but you do need to find a way to get your hands on a decent mic (buy, rent, or borrow if you have to). Dynamic or condenser? This is a really good question. There are no hard and fast rules here. In general, I would suggest using a good, large-diaphragm condenser mic. However, I was thoroughly impressed with both the Shure SM7B and the SM58 when I did a shoot-out between the two. For further reading on this, take another look at my 12 Home Studio Necessities article on microphones. A good preamp can make even a cheaper microphone sound phenomenal. I’ve heard so many stories of people using an SM58 with a high-end preamp to get a great recording. The same thinking applies here as with the microphone. I’m not saying you need to spend thousands. However, if you can swing it, using an external preamp will almost always sound better than the stock preamps on your audio interface. This is an obvious step to most people, but for those of you just starting out you want to make sure you have some sort of pop filter between the singer’s mouth and the microphone. Trust me, I’ve tried to record vocals without a pop filter, and as a singer it’s such a distraction to have to focus on not “popping” the microphone that I tend to not sing as well. I’ve recently started using a little homemade reflection filter to reduce the amount of room noise that gets picked up by the vocal mic. It’s a subtle difference, but it does make a difference. Give it a shot. Unless your singer is infallible, you’ll want to record multiple takes of the lead vocal part. A good singer will give you a good performance, but you want a REALLY great performance. Have the vocalist sing through the song 3-5 times. Later you can comp together a great take. Most of the time, placing the mic directly in front of the singer, 4-6 inches from the singer’s mouth, will work just fine. However, don’t be afraid to move the mic closer or farther away. Perhaps the singer is giving a very intimate, quiet performance. Having the mic right next to his/her mouth may be the perfect thing. Or if the singer is belting out a dramatic ballad, maybe placing the mic a foot away will work better. As always, use your ears to make your decisions. Along with mic placement, be sure to make the singer comfortable. A happy singer is a great performer. What tips to you have for recording vocals? Let’s hear ‘em. Leave a comment!